Gennady Golovkin is ready to get back into action after suffering the first loss of his boxing career. The former unified middleweight champion is scheduled to fight against a to-be-determined opponent on June 8 from Madison Square Garden. ESPN reports that offers have been made to middleweights Steve Rolls and Hassan N’Dam. 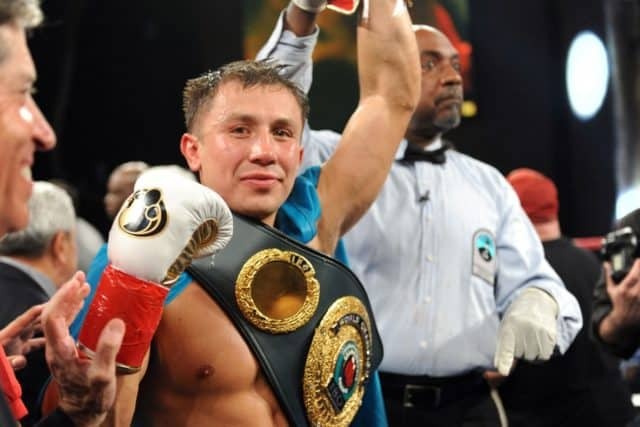 The report includes that Golovkin wants a fight at 164 pounds, four pounds over the middleweight limit for a non-title fight. 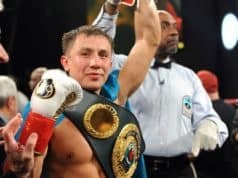 Golovkin recently singed a three-year, six-fight deal with the DAZN streaming service. He’s making his first return to action since suffering a controversial decision loss to Canelo Alvarez in September. 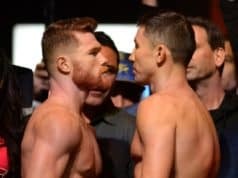 Should Golovkin win his next fight this summer, and Alvarez win his upcoming middleweight title fight against Daniel Jacobs in May, a trilogy fight between Golovkin and the Mexican star could take place in September. Alvarez vs. Jacobs takes place from the T-Mobile Arena in Las Vegas, Nevada on May 4.